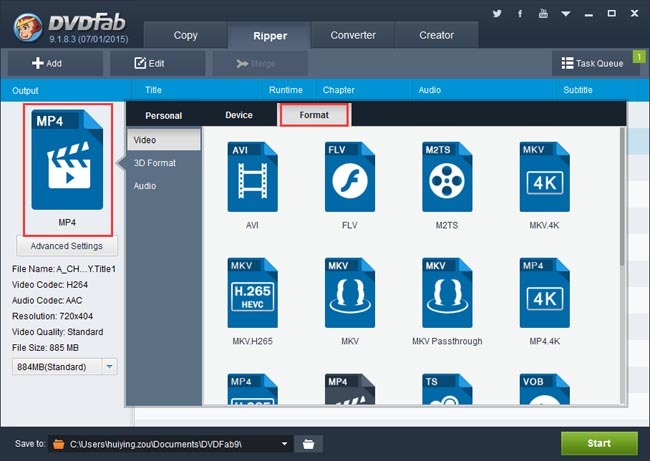 No matter if you’re looking for a free DVD ripping program or a professional one, DVDFab DVD Ripper can meet your every DVD ripping and conversion need, when being used within its 30-day trial period. After the trial period, you have to pay for continuing to use it. So accurately speaking, it is a free DVD ripper for only 30 days. But it is definitely a powerful freeware you’d ever want for your DVD ripping issues. Now let’s have a look at how to use it, free. Go to DVDFab official download site www.dvdfab.cn/download.htm to download the latest version of DVDFab. Then install it. The installation is very easy, just follow the wizards. 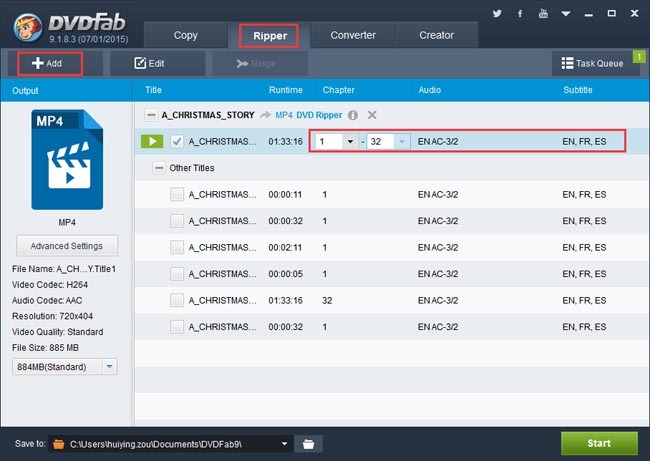 For enabling DVDFab DVD Ripper, select Ripper option at first, then insert the DVD disc you want to convert, or click Add button to load the digital source file. After the movie is loaded in, which will take about only one or two seconds, you can see the longest movie title is selected by default. You can also click Other Titles to bring about other titles for selection. Move the mouse to the Chapter, Audio or Subtitle part of a title, then you can change the first/last chapter, audio tracks and subtitles. Click the profile icon on the left panel to open the profile library. Then go to Format, you can choose any video format, audio format and 3D format it supports. It’s neat that nearly all popular video/audio formats are supported by DVDFab. Or you can go to Device to select a profile for your device you’re going to use to play the output video. We are using the iPad Aire profile for example in this article. In this tip we’re using an iPad Air profile for example. 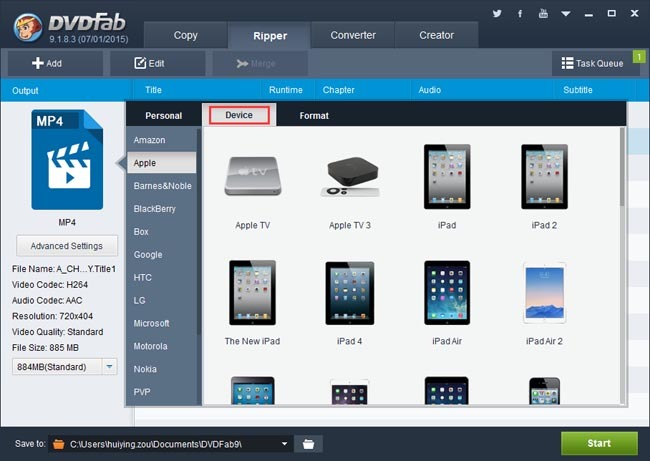 After the profile selection, go to the main interface of DVDFab to click Edit button and open the Video Edit window. 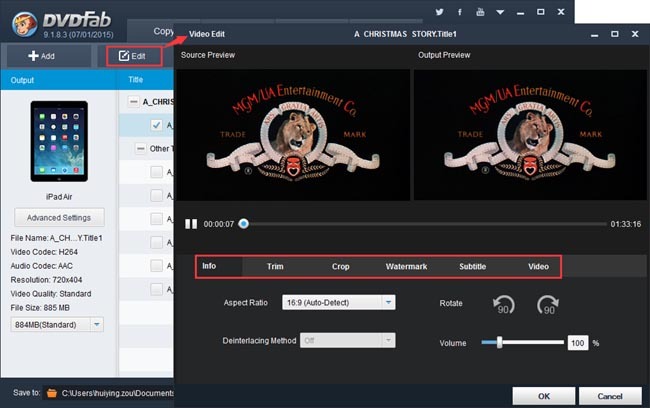 Here you can edit the video effect such as changing the volume, trimming and cropping the video, adding watermark, importing external subtitles, etc. After all settings are OK, go to click Start button to start conversion. You can view detailed progress info and preview the progress in real time during the process. You can also your PC to shut down or hibernate, or set DVDFab to exit, when all tasks are done. How to Rip/Convert DVDs to MKV?